While the current issue is available on subscription, the archived issues (2011-2016) can be downloaded as PDFs by anyone. "The Middle East in London is a bimonthly magazine published by the London Middle East Institute. Each issue is organised around a central theme related to the Middle East and North Africa (MENA), and the variety of themes is constantly growing. From issues focussing on particular countries (Iraq, Turkey, Palestine) to those spotlighting topics such as oil, contemporary art, the environment and minorities, the magazine endeavours to offer its readers articles that are thought-provoking and fresh; it is not a news publication. The works of contemporary Middle Eastern artists are often featured on the cover and inside the magazine, familiarising readers with MENA’s art scene and adding additional layers of depth to issue themes and individual articles. Reviews of books, events, films, restaurants, etc. 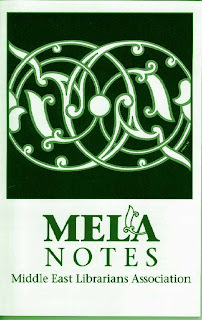 related to the Middle East can also be found inside the pages of The Middle East in London, along with a comprehensive guide to events pertaining to MENA happening in and around London." Open Access Journal: SCTIW review : the journal of the Society for Contemporary Thought and the Islamicate World. SCTIW review : the journal of the Society for Contemporary Thought and the Islamicate World. "Reviews of works pertaining to the Islamicate world (whether in Islamic studies, Middle East studies, or other related fields and subfields) analyzed in light of contemporary philosophy, literary or artistic criticism, religion, political theory, cultural studies, and postcolonial studies." Occupation, Inc: How Settlement Businesses Contribute to Israel’s Violations of Palestinian Rights. "ACCESS ISLAM is a pioneering new tool designed to support the study of Islam in grades 4-8. Comprising over 100 minutes of digital video from the award-winning PBS series RELIGION & ETHICS NEWSWEEKLY the site also contains high quality, multi-media tools; downloadable lesson plans; and resources related to Islamic holidays, traditions and cultures. The video segments can be used alone, or in conjunction with any of 10 lesson plans which are aligned to national standards and vetted by an advisory committee of experts in education and Islamic cultures. We hope these materials will offer both students and teachers exciting new ways to bring to life a fuller understanding of Muslims the world over." Labels: Islam -- Study and teaching. 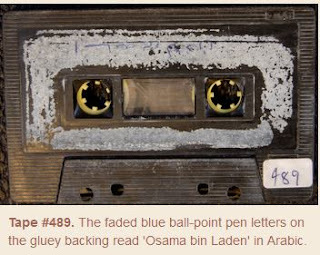 Sound Archive: "Osama Bin Laden Tapes"
What the Bin Laden Tapes Reveal About Al-Qa'ida by Flagg Miller. "Website has been designed to allow non-Arabic speakers to listen to material featured in The Audacious Ascetic while reading English translations in real-time as the recordings unfold. As the book demonstrates, much of the meaning of bin Laden’s words and the significance of Al-Qa’ida for his early primary audiences was lost when edited and converted to print, video, and electronic media for global consumption. These recorded excerpts have been selected and produced specifically to accompany the book. They are best contextualized in tandem with the perspectives and arguments therein." This journal is intended as a medium for scientific discussion, description, and a survey on education, learning, and analysis of Arabic language and literature. Author of the journal is open to all parties who have an interest in education, learning, and analysis of Arabic language and literature. This journal accept articles from the research, conceptual thinking, and book reviews.This journal accepts articles written in Indonesian and Arabic.Publishing twice each year, ie in March and September. This space is dedicated to the working paper series published by the “Early Islamic Empire” project. The papers published here are works in progress and should be considered stimuli for debate. Copyright remains with the individual author(s); users may download for personal use, but any additional reproduction for other purposes, whether in hard copy or electronically, requires the consent of the author(s)/editor(s). It is understood that all persons downloading or copying any of the papers of this working paper series will adhere to the terms and constraints invoked by each author's copyright. If cited or quoted, reference should be made to the full name of the author(s)/editor(s), title, the working paper series, the year, and the URL. No prior permission by the author(s) is required when citing or quoting the papers included in this series.